I’m pretty pumped that this week’s CASEing the Catty blog hop is focusing on Project Life. 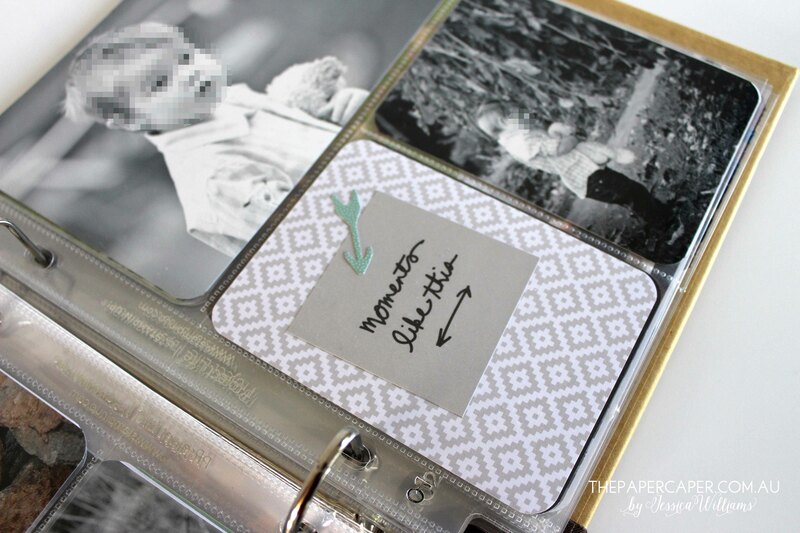 I fell in love with Project Life the minute I heard about it and it’s my personal preferred method of memory keeping my family photos. If I’ve lost you already, watch this quick video which explains the concept of Project Life, or as I like to call it, scrapbooking for the time poor, which is almost everyone these days, so it’s probably for you too! 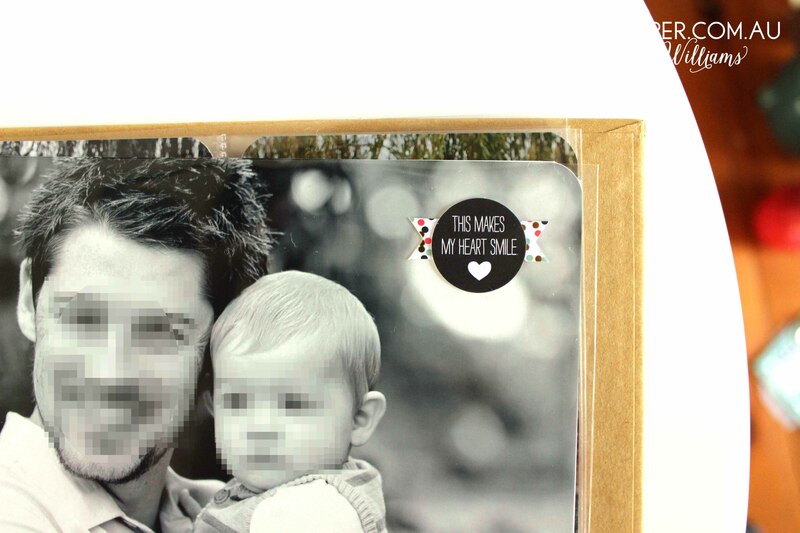 For my ongoing, everyday album I use a large 12″ x 12″ album but did you know that Stampin’ Up! offers a smaller 6″ x 8″ album that is perfect for brag books, showcasing particular travels or other smaller occasions (just like the one shown in the video above). I’ve used this album to put together a brag book of sorts. It includes lots of photos that were taken at a family professional photo shoot so eventually I’ll probably give it to my grandparents, or perhaps I’ll just make a second one. Here’s the cover. 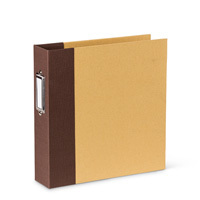 This album comes with a kraft board cover (with fabric spine covering) so you can actually decorate it any way you like. I’ve chosen to simply print an enlarged photo and stick it to the front. 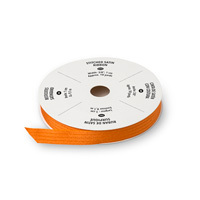 Add a ribbon to cover the join and it’s a professional looking album. 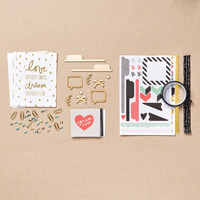 I’ve used both the Moments Like These card collection and Moments Like These accessory pack to embellish my pages. Because this book is mostly photos, and it’s on show at my demonstrations, I’ve chosen not to add journalling cards, rather using the decorative ‘filler’ cards to fill the gaps where I don’t have photos. 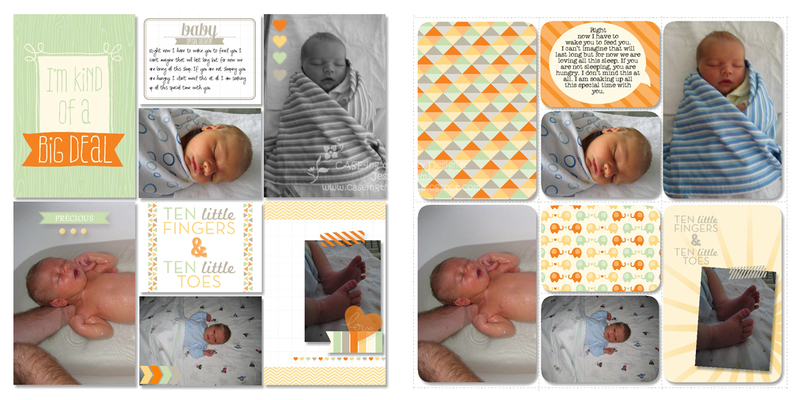 Again this page shows mostly photos but with a cute filler card which I made up from both Moments Like These packs. Notice also that I’ve rounded the corners of my photos and my filler cards. 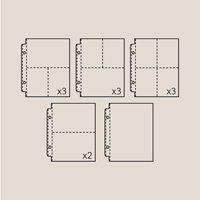 The original Project Life cards came with pre-rounded corners so most Project Lifers prefer this BUT Stampin’ Up Project Life card collections have square corners giving you the option of leaving them square or rounding them with a corner punch. 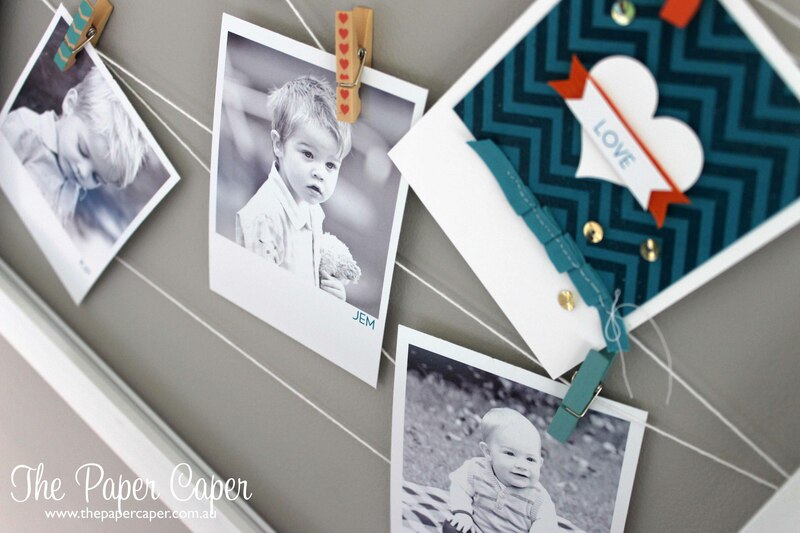 Many of the elements in the accesory packs are self adhesive so you can even decorate your photos. 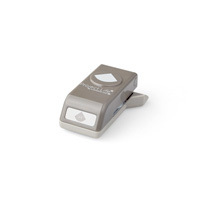 Project Life can be as simple or complicated as YOU want it to be. 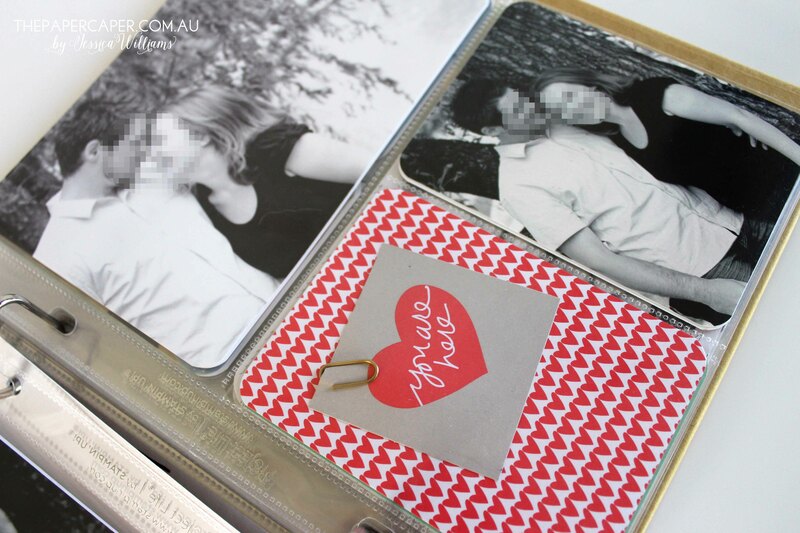 In this album, I’ve used the accessory pack to embellish cards and photos. In my day to day album, I don’t. I just don’t have time. I simply add photos, some journalling and pop filler cards into the gaps. If you’re someone who thinks that this isn’t ‘enough’, don’t limit yourself! 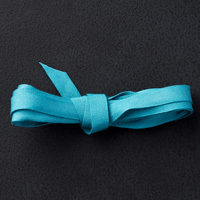 Use the accessory packs to embellish! 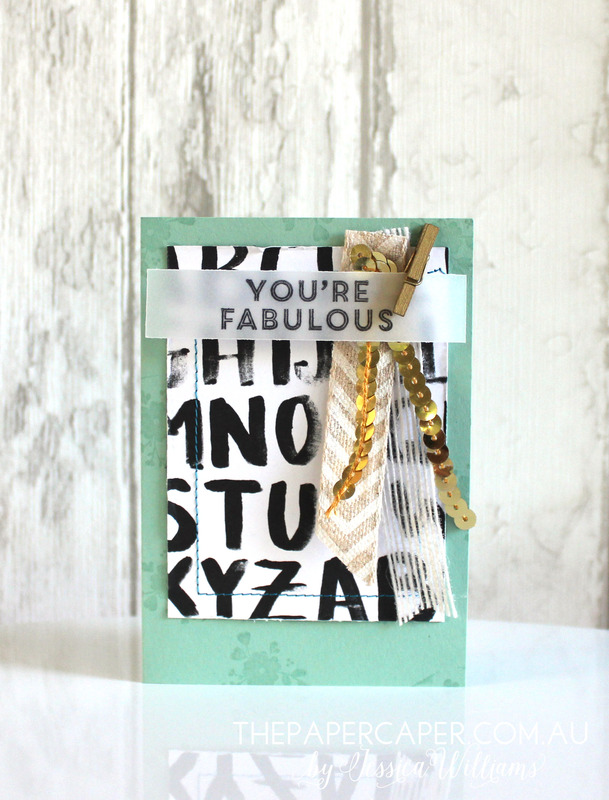 Use Stampin’ Up!’s coordinating cardstock colours and inks to make your own filler cards. Add stamps! Do what you want to do to preserve your memories how you want them to be. Project Life does not have to be about anything in particular. It doesn’t need to be a special occasion to warrant recording it. Have you ever looked back at photos from your childhood and though ‘Oh, I remember those shoes – I loved them’ or ‘yes, that was my favourite playground’. Record the everyday – you’ll thank yourself in years to come! My VERY favourite thing about memory keeping is that my boys LOVE to pull down the album and flip through remembering their birthday cakes, this outing or that adventure. It warms my heart to see them enjoying what I’ve documented. 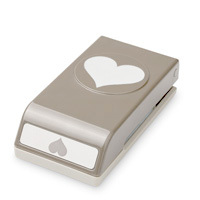 Visit this link to see the range of Project Life by Stampin’ Up! 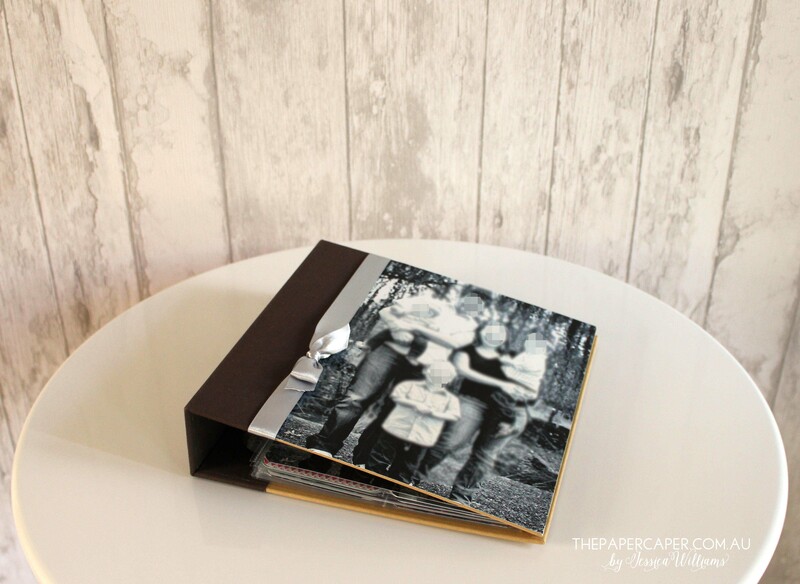 range of Albums, photo pocket pages, card collections and accessory packs. Choose the items that best suit your style and needs and get memory keeping! If you have questions, just contact me (jess_williams@optusnet.com.au), I would love to help you get started! And just when you thought I’d finished, Project Life cards don’t have to be just for Project Life. If you’ve completed an album and have spare cards, make a card! 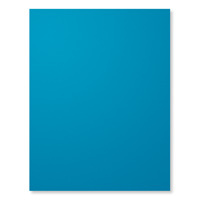 Here’s a sample using a card from the Moments Like This card collection. Now it’s time to continue the blog hop. I can’t wait to see what everyone else will share about Project Life! Click here to hop along to the ever delightful Emma Palonek of Vintage Graffiti. Is there a better theme for papercraft than memory keeping? I actually think not. It’s about making memories accessible to others. It’s about bringing photos, whether stashed away in a box or on a hard drive, out into the real world. Quite often, our memories are tucked away in our own minds and no one else can access them. I love that the art of memory keeping, in whichever way you choose, allows others to look, learn and access their own memories too. 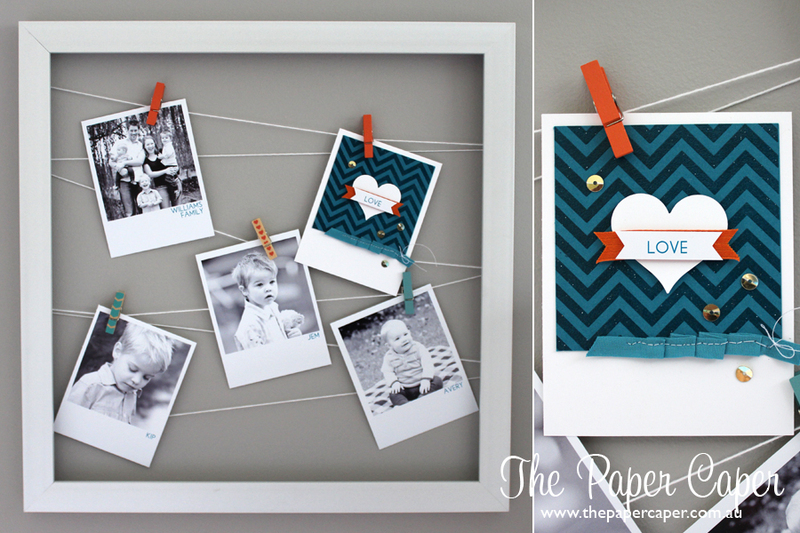 Plus, with the help of some colour, cardstock and accessories, these memories are made extra beautiful. This week at the CASEing the Catty challenge we’re focusing on the Memory Keeping section of the catalogue. My project today is based on the banner on 32 (South Pacific catalogue). I was fortunate to craft with photos of my little family this week, which made things even more fun than usual. Photos of my boys just make me smile. I decided to use MDS to help me out this week as while I have the Simply Serif Mini Alphabet, I’m just not patient enough to use the Stamp-a-majig with them and I wouldn’t have been happy unless the text was as perfect as in the catalogue. I needed to print the photos in polaroid style anyway so just inserted a few text boxes at the same time. I love that MDS allows you to match Stampin’ Up! colours exactly, so I coloured the text with Island Indigo and it’s a perfect match with my cardstock. I changed up the colour scheme to fit my own home decor which is grey and teal with a splash of orange. Our interior is also a little more modern than the catalogue sample so I swapped the Dictionary stamp for Postively Chevron (one of my all time faves). I wanted just an accent on the Island Indigo cardstock so used VersaMark ink on the chevron stamp and embossed with clear powder. A crisp Whisper White heart (LOVE that new shape) was layered on top and then banners of Tangelo Twist ribbon and a little LOVE. A few sequins topped it all off (Yes sequins, I know! 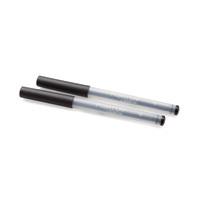 But this time it was totally legit and I HAD to use them because the catalogue sample had some). I hope you enjoyed my take on the catalogue sample. I hope you’re also inspired to make some of your memories accessible! 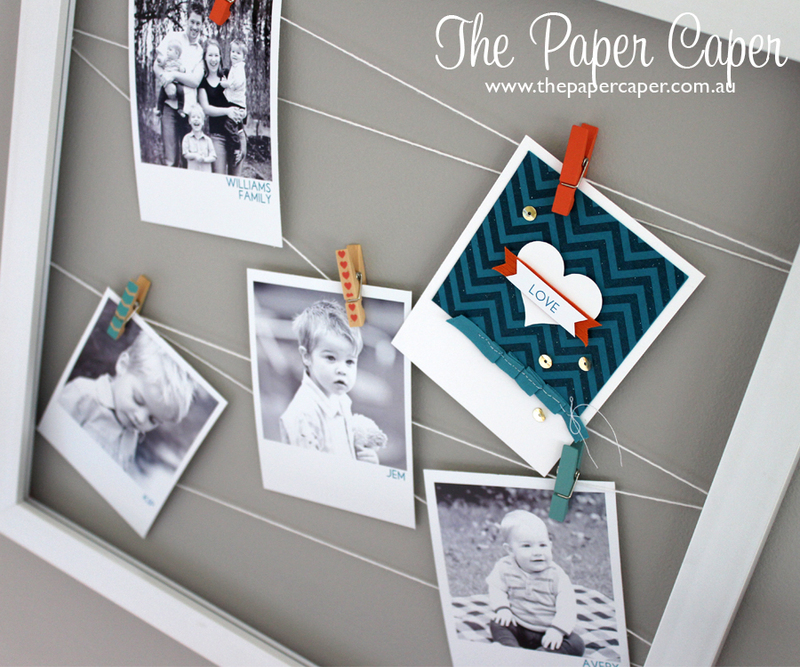 My preferred method of memory keeping is Project Life and my VERY favourite thing about it is that my boys (currently aged 2-6), love taking down the albums off the shelf and flipping through them. They love to see and remember the fun we had last summer, the cakes they had on their birthdays, the costumes they wore to school dress up days and the list goes on. Their little faces light up… and that warms my heart. I hope you come and play along with us at http://www.caseingthecatty.blogspot.com.au. I’d love to see your take on one of the gorgeous projects during Memory Keeping week!